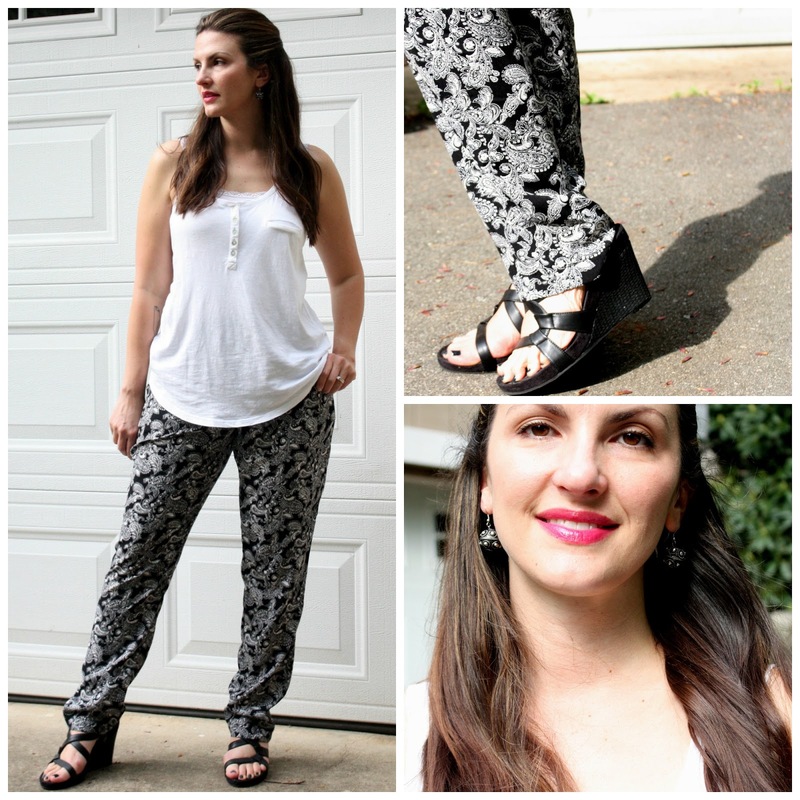 I'm always on the lookout for a lightweight summertime pair of pants in a fun and funky print! If you have time to scour the racks at the thrift store you will eventually find the perfect pair, which is what I think these are! Black and white, crazy little paisley print...perfect!